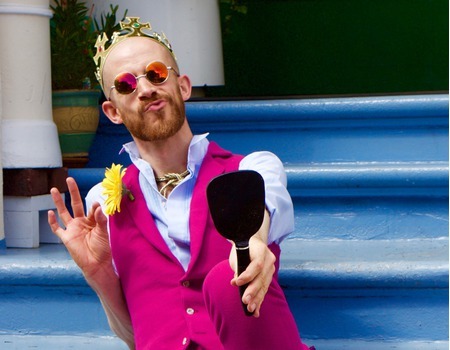 For two hot pink nights, Andrew Pepper - balladeer, cabaret clown and all round farce of nature - is back! Pepper has been sashaying around the London cabaret scene for over a decade now, performing in such high(and low)-brow venues as The Pheasantry, Café Royal (Black Cat Cabaret), Wilton's Music Hall and the Royal Vauxhall Tavern. As an actor, he's graced the West End stage in Mary Poppins; played Lord Scarecrow in the world premiere of Philip Pullman's The Scarecrow and his Servant; and created havoc on Emmerdale as Casper, the angry vegan. For his Live At Zédel return, expect impossibly tight trousers, highbrow nonsense, limby lunacy, sophisticated song styling, less sophisticated song styling, show tunes, Jacques Brel (though probably not in person), foot stomping and the splits. 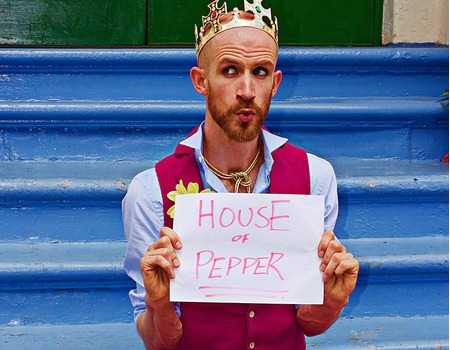 Welcome to House of Pepper. Pianistic wizardry provided by Master James Church.